We are currently awaiting a special guest who will be visiting the area on one of our fire trucks. You guessed it, SANTA is schedule to arive early December 2, 2018, and stay throughout the day. He will end his day at Wagenseller Park, 120 Park Lane, Glenmoore, PA 19343 to perform the Tree Lighting Ceremony and visit with all his friends for a couple hours. Do not miss this event! 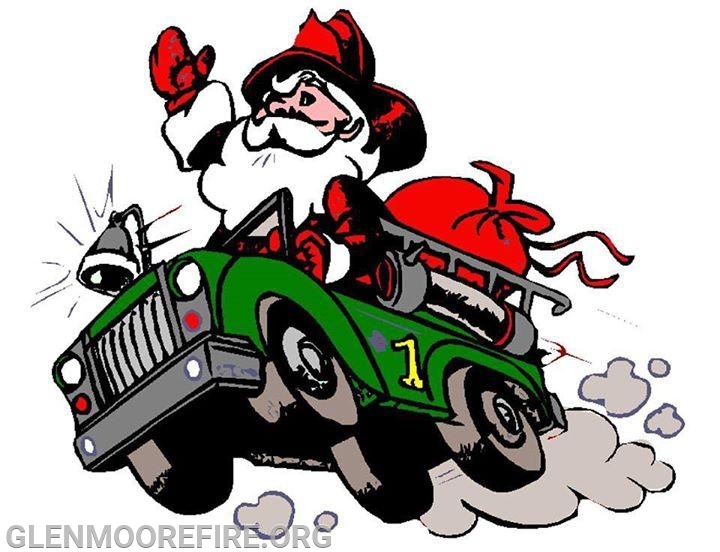 12:45 - 2:00: Longview, Huntsfield, Pumpkin Hill, Whitetail Ridge, Lamb Tavern, Margret Ct, Howson Ln.